FDA Commissioner Scott Gottleib is addressing how that agency is trying to prevent cyclospora outbreaks in the wake of two specific outbreaks this year that sickened more than 650 people in the U.S. In total, 2,173 cases of domestically acquired cyclosporiasis were reported this spring and summer. Gottlieb said that a new testing program found the parasite in American-grown cilantro this year. That’s the first time the parasite was confirmed on domestically grown produce. A new FDA laboratory testing method then confirmed the presence of Cyclospora cayetanensis in salad mix distributed by Fresh Express and sold to consumers in McDonald’s salads. The Foodborne Parasitology Research Program created a new, more sensitive method to identify the parasite called Real-Time Polymerase Chain Reaction (PCR). Cyclospora cayetanensis oocysts are not culturable. and identifying the parasite with microscopes is difficult because the concentration of oocysts on food is low. And the incubation period can be as long as 10 days. In addition, scientists don’t know the infectious dose of the parasite. A new and improved produce washing and DNA extraction protocol was developed in July 2016 that made the FDA’s job much easier. Cyclospora outbreaks are unique and complicated because it can take more time between exposure to when a person gets sick. Patients may not go to a doctor immediately, especially if they feel better fairly soon which makes identifying the food difficult, since people forget what they had to eat days or weeks ago. This illness can come and go for for months. Finally, most doctors don’t immediately test for the parasite when a patient presents with symptoms of diarrhea and weight loss. Like other parasites, the oocysts can cluster in a small amount of the food and aren’t distributed evenly in produce. Labs can miss a few oocysts in a food sample. So once scientists used produce wash solution to recover the parasite, and extracted genetic material, they used PCR, replicating DNA segments, to identify the parasite. Scientists are now sequencing the genome of the parasite, which will make identification simpler. 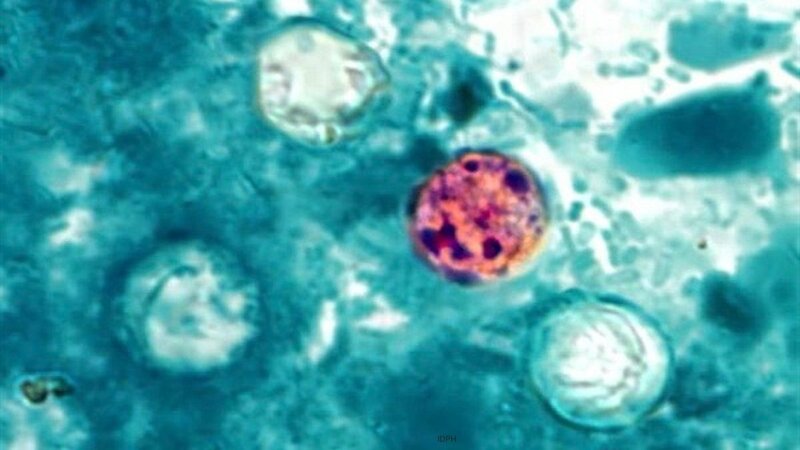 The FDA wants to share this technology with food agencies in other countries, since most of the produce linked to cyclospora outbreaks in the U.S. is imported.